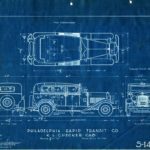 The Parmelee Company, the firm dated to 1853 when its founder and namesake, Franklin Parmelee, established the city’s first omnibus line. 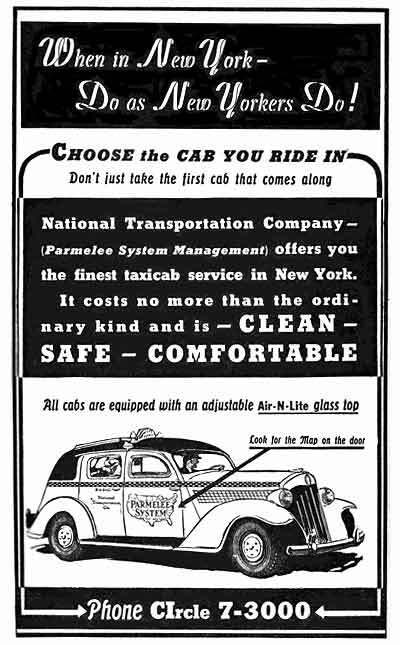 In the early 20th Century, Parmelee provided taxi cab service in U.S. cities where it had franchise (purchased rights) to do so. 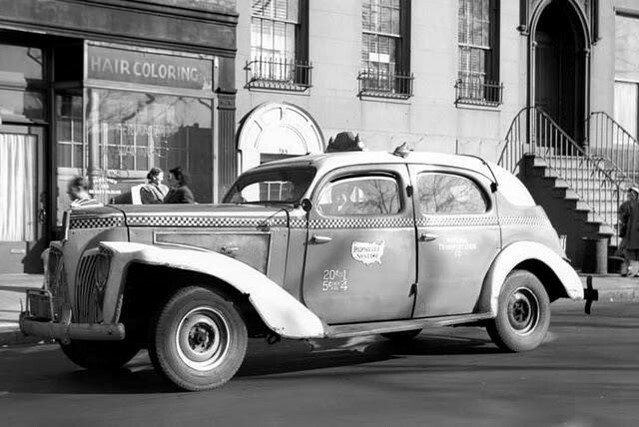 The company would be acquired by Morris Markin of the Checker Cab Manufacturing Corp. in the 1930s. The new opportunity for Markin would allow him to expand beyond auto assembly, he would soon have a vertically integrated company and access to new markets and customers. 1929, Markin and Parmalee agreed create a new corporation, it was organized under the name of Parmelee Transportation Company and its common stock and debenture bonds which were later listed on the New York Stock Exchange were sold to the public on April 29th 1929. All of its preferred stock was sold to Checker Cab Manufacturing Corporation. 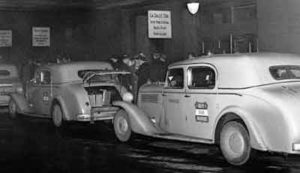 With the funds provided by the sale of these securities, the Parmelee Company, then operating, was purchased as a nucleus of an integrated transportation system to furnish taxicab and limousine service in some of the larger cities. 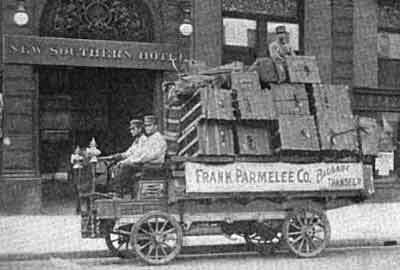 In 1934, Chicago’s Parmelee Company was liquidated into the Parmelee Transportation Company. “Chicago. 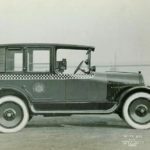 April 30, 1929 (AP)—New fleets of taxicabs for Chicago, New York and other cities will result from the recent merger of the Chicago Yellow Cab Company, Inc., the Yellow Taxi Corporation of New York, and the Parmelee Company of Chicago, officials of the Chicago Yellow Cab Company have announced. 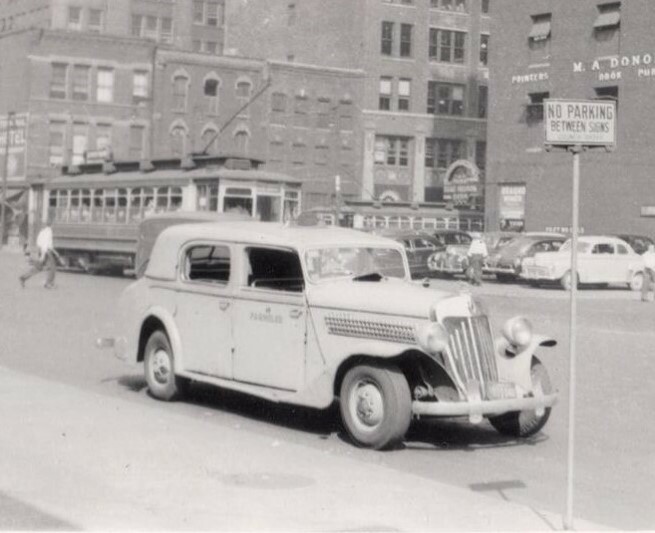 Parmelee held control of Chicago Cab Company, the Parmelee Company and the Yellow Taxi Corporation of New York. 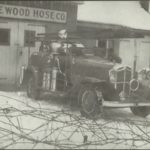 It later acquired interests in the Yellow Cab Company of Pittsburgh and the Pittsburgh Transportation Company. Via several additional stock transactions, by 1930 Markin would have total control of Parmelee. 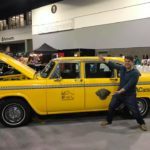 Markin would leverage the new set up as a mean to not only control a large portion of the US Taxicab business, but would also now supply the to CCM owned companies Parmalee, Checker cab and Yellow cab operations across the country with shiny new Checker taxicabs. These intercompany based transactions assured Checker would also have a captive pipeline of internal customers and ensure that the capacity of the plant in Kalamazoo was fully utilized. From a branding perspective, in the 1930’s, Parmelee started to use a logo that encircled the Parmelee name with 48 continental states. Clearrly from a branding perspective, Parmelee was trying to tout its national presence in a number of larger city markets. 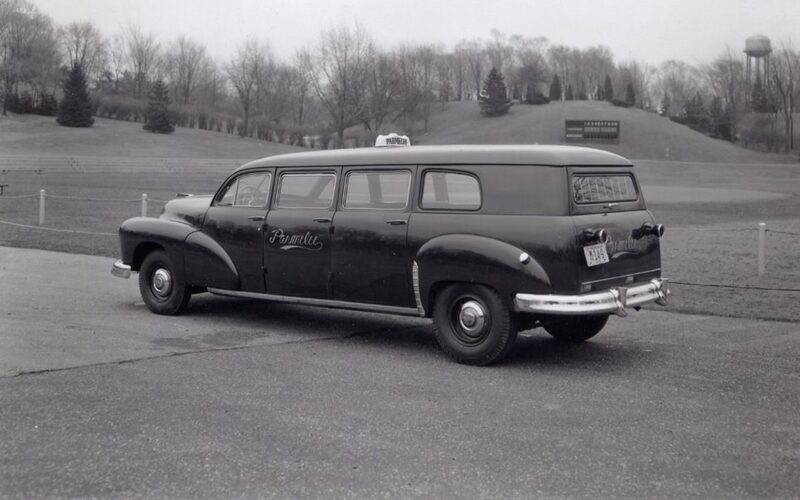 Beyond taxicabs, Checker would produced for their internal divisions long wheelbase taxicabs with integrated trucks as well as 6 and 8 door units for intercity bus operations. Like the Parmelee operations of the past. Parmelee was still ferrying travelers from train, shipping and hotel concerns. This required Checkers equipment that were larger than city Taxicab models more passengers and luggage. 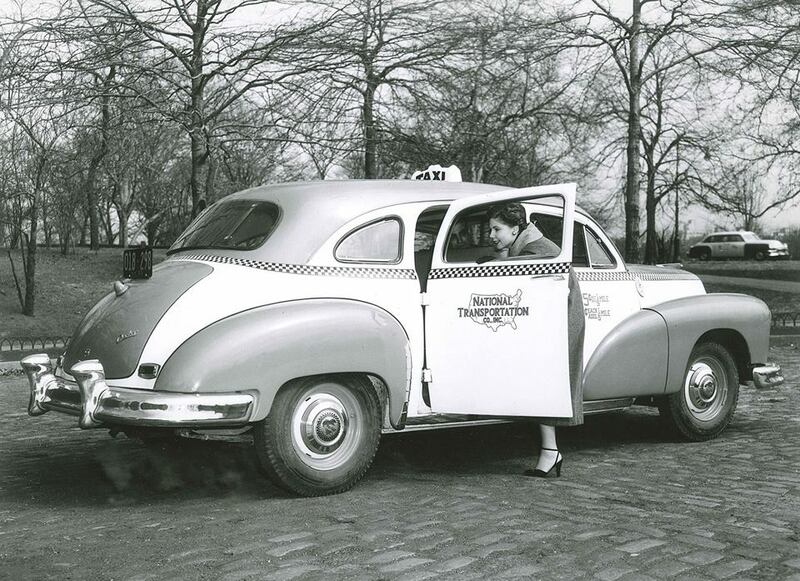 Parmelee (including Yellow and Checker Cab) became the largest cab company in the United States. 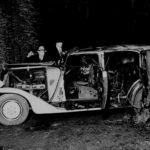 Eventually, the cab company revenues exceeded those of Checker’s automotive building division. Throughout the 30’s and 40’s the Parmelee brand was prominently used, however by the 50’s Checker started to consolidate CCM fleet operations as National, Checker and Yellow. Some cities operated multiple Checker owned brand names. Chicago utilized both Checker and Yellow. 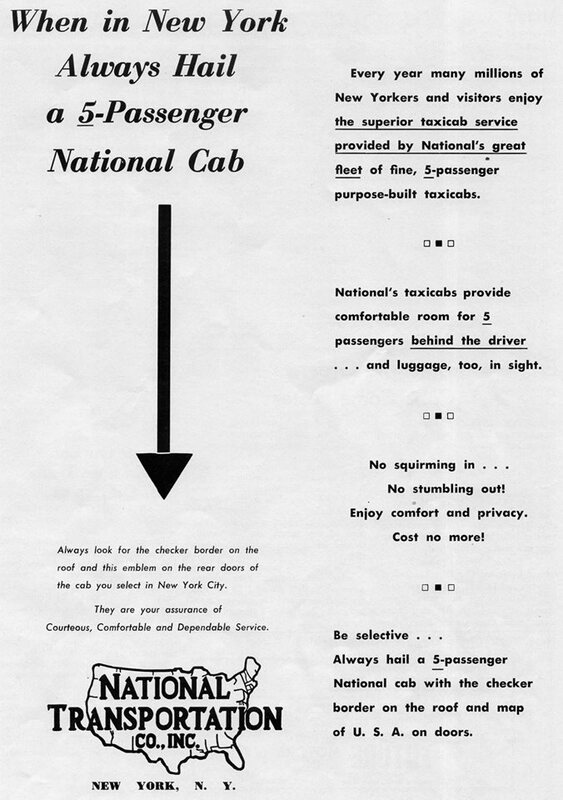 While in New York City Checker consolidated around the name National. 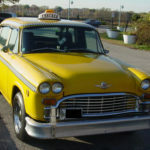 In 1964 the state of New York pursued Markin and Checker on antitrust charges, alleging that it controlled both the taxi service and manufacture of taxis, and thus favored itself in fulfilling orders. 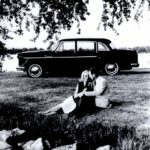 Rather than allow Checker drivers to begin buying different brands of cars, Markin began selling licenses in New York City. 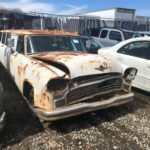 Throughout the sixties Markin would continue to exit various taxi fleets across the US. In 1969 Parmelee was effectively closed. Markin held onto the Chicago Checker and Yellow fleet and made investmest in other businesses. 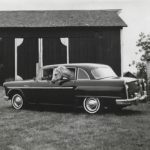 In 1989, the Markin family operating Checker Motors and Checker Holding Company were involved in a reverse acquisition with International Controls (Great Dane Trailers), and the company later changed its name to CRA Holdings. 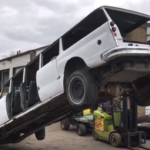 The company was reorganized in 1995 into three wholly-owned subsidiaries: Yellow Cab (owns and leases taxi cabs in Chicago), Chicago Autowerks (taxi-cab repair and other services) and CMC Kalamazoo. Other subsidiaries include American Country Insurance Company, a provider of property and casualty insurance, Great Dane, (the largest manufacturer of truck trailers, containers and chassis), and South Charleston Stamping & Manufacturing Company. The company was renamed as Great Dane Limited Partnership, and was acquired by Chicago based CC Industries.